Can I really start life over again? Yes… you can! Our emotions may tell us that we aren’t good enough for God, that we’ve squandered too many opportunities. But we must look beyond our feelings to the truth of Scripture. We can have another chance because God never gives up on us. In fact, He counted on the entire human race needing a do-over. That’s why He sent Jesus Christ. 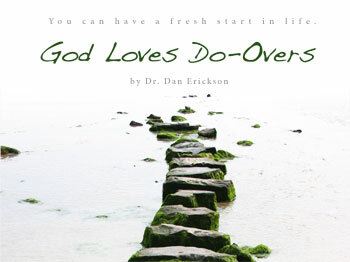 With the love and favor of God, each day can be a new beginning.